The seamless finish of Corian designs makes for an exceptional kitchen. You can invest in your kitchen’s flawless finish by purchasing a kitchen countertop or island to take centre stage. What is currently taking centre stage in your kitchen? A scratched sink? A dull and damaged countertop? 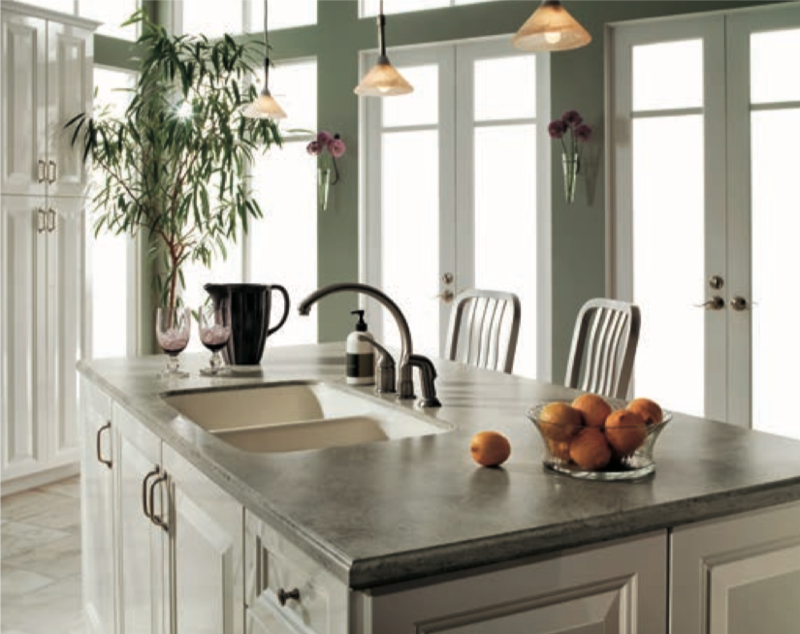 You can say goodbye to those dreary sinks and countertops and say hello to the Corian surfaces. With Corian Designs, you are able to pick and choose a countertop that not only is tailored to fit any size kitchen, but you can personalise it as much as you want. Corian Designs is extremely accommodating. From cool to contemporary, you will find a visually pleasing surface to fit in with your kitchen’s existing décor. Better yet, you can spice up your kitchen’s décor by making a dramatic statement with a seamless and integrated kitchen worktop. A lot of people spend a great deal of time in the kitchen. The kitchen is probably the room at the heart of the home. Therefore, it is important to put some time and effort to make it look and feel ‘homely’. From early morning starts, to late night get togethers, the kitchen is a place where a lot of people come together for dinner, parties, or simply to chill out. Why not chill out and throw a party in a kitchen that you are proud of? You do not have to spend a fortune in order to glam up your kitchen. A stylish Corian kitchen surface can go along way with regards to transformation. From an array of colours, patterns, shapes and sizes, there will be something that you can say: ‘yes, I choose that… that was my choice’. There is no better feeling than renovating your home, especially if that renovation is top-notch! So why not invest in your kitchen’s refurbishment and take a look at some of Corian’s kitchen countertops and see how you can transform your kitchen in a quick and easy way!